Fort Myers Beach has a lot to offer. From hiking, kayaking, boating, and so much more your vacation will be filled with activities. However, with so many activities comes supplies. It is important to know what you want to do so you know what to bring. At Sun Palace Vacations all you need to bring are your clothes. We provide Fort Myers Beach rentals with fully equipped kitchens to professionally laundered and sanitized linens. This way all you have to do is get down to your Fort Myers Beach. Do not forget your swimsuit because you will be spending your time on the beach. Bring a swimsuit that can handle kayaking, standup paddle boarding, jetskiing, and splashing around. There are plenty of things to take part in at the beach from dolphin tours, fishing, and searching for seashells so bring a cover up and shoes that can go from the beach to the boat. 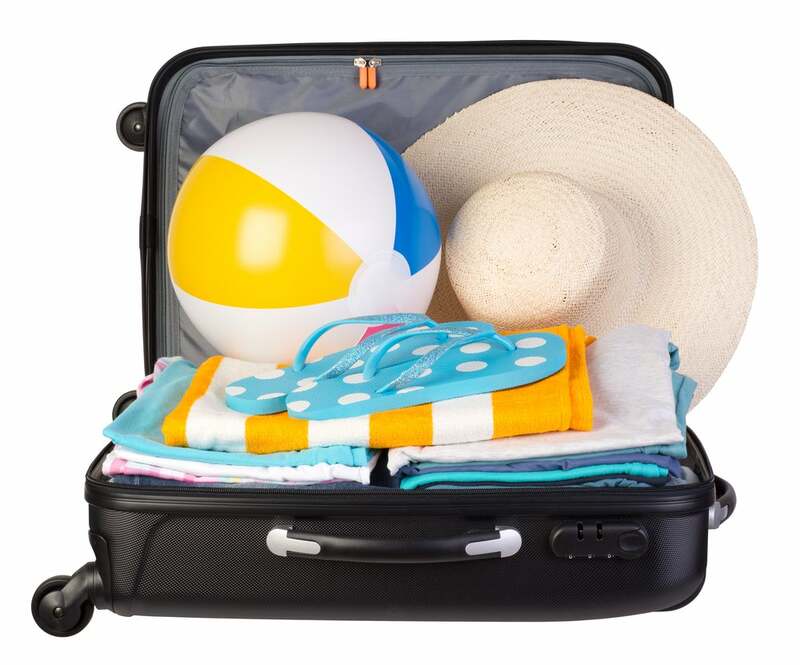 A hat, sunglasses, and beach towel are helpful when you are soaking up the rays. The sun can be intense in the Summer months, and you do not want to suffer from sunburn on your vacation. Get sunscreen that can handle going from chilling in the water to sand volleyball, and that lasts a good amount of time because you will not want to be applying in the middle of a game. If you burn easily think ahead and bring Aloe Vera to help with sunburn. Another important thing to bring with you to the beach is a water bottle. It can be easy to forget to drink water when you are in the water but the mix of the sun and salt water will dehydrate you, and you do not want to get sick on your vacation. Finally, watch the temperature! The weather by the Ocean can change in an instant. From chilly breezes to storm clouds, it is important to come prepared. Layers are a great way to stay prepared while still packing light. You can switch layers to create new outfits, and you will have plenty of space for new items as well! Bring a backpack or beach bag to hold all of your beach items. This way you will not be leaving anything behind, and everything will stay secured by your side. Spend your days enjoying all that Fort Myers Beach has to offer. With incredible ocean views to the vibrant culture, it is a place that will captivate you. After a fun filled day, Sun Palace Vacations is the perfect place to kick your feet up and relax. Our luxury Fort Myers Beach rentals have everything you need to make your summer vacation great. From private pools to beachfront properties you need not ever leave your rental, but we recommend you do because Fort Myers Beach is something you have to experience at least once in your life! Are you ready to experience everything beach? Grab the kids and the cooler and enjoy the best of summer. Save 20% off all summer rates until August 12th on new bookings. Take a look at our rentals because that great beach house will be gone before you know it. Don’t forget you can also bring your four legged canine family members!